Thanks to the fine folks at the Kentucky Book Fair, I spend a weekend in the state’s capitol of Frankfort every November. Imagine my surprise to discover recently that the town houses a wonderful yarn shop that I somehow missed! You can be sure I fixed that grievous error right away. 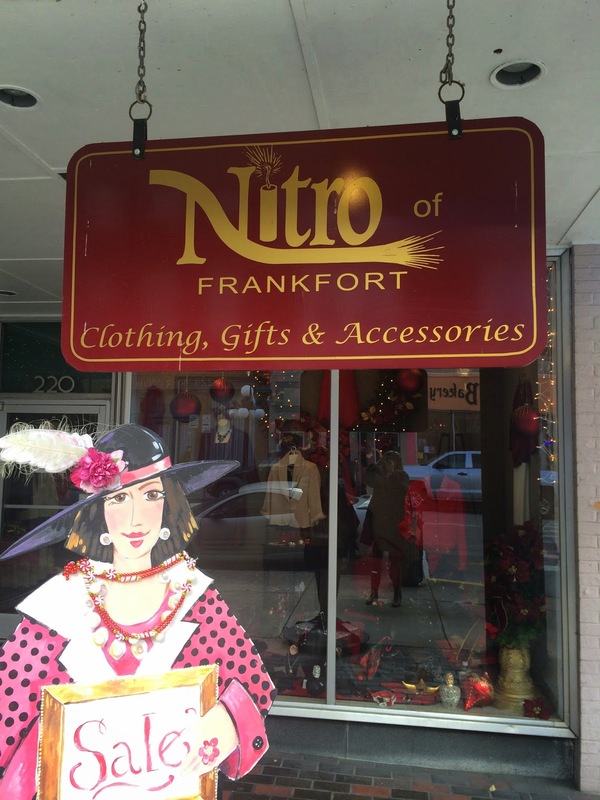 Should you find yourself in the charming town of Frankfort—here’s how to have a great yarn-y visit. 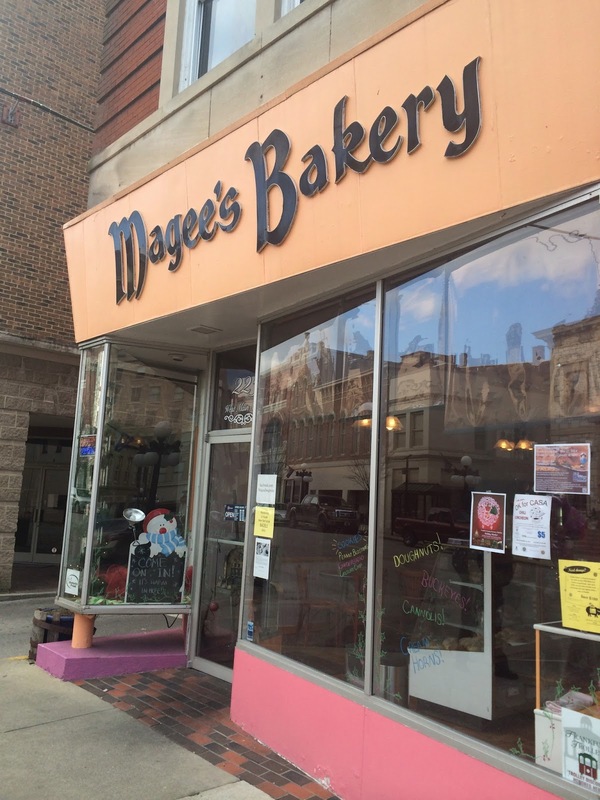 They've got a location here and in the neighboring city of Lexington, and have been family owned since 1956. This tiny little shop serves up some wonderful doughnuts going far beyond the standard flavors while utilizing fresh ingredients. Word has it their Cheddar Cheese bagels are splendid, too. They offer a variety of breakfast and lunch fares, but with a bourbon (“Buffalo Trace,” no less!) doughnut calling your name, it’s hard to opt for anything as ordinary as chocolate sprinkles. I also got to taste the waffle flavored doughnut with bacon—yum! There’s a certain color of blue you’ll find everywhere in these parts—that belonging to the University of Kentucky. The UK Wildcats are nothing short of an obsession here. One stop in this store will let you know that Wildcat fever extends far beyond jerseys and sweatshirts! 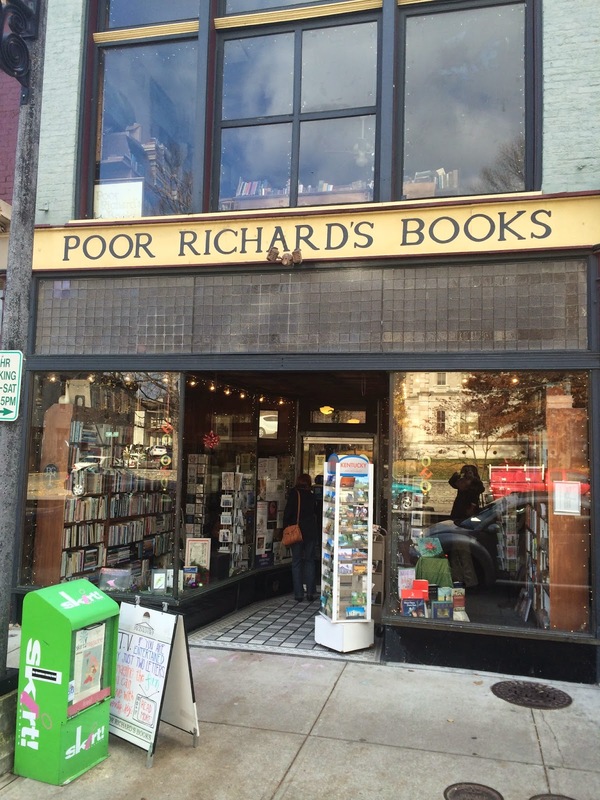 This small store packs a whopping selection of clothing, accessories, and other gifts. Next, wander down to Broadway, arguably the town’s “main street” running right beside the train tracks. There are a variety of shops and businesses worth your attention here. The vast array of locally produced gifts, food, art, soap, and a dozen other things makes this a must-do stop on my annual visits. 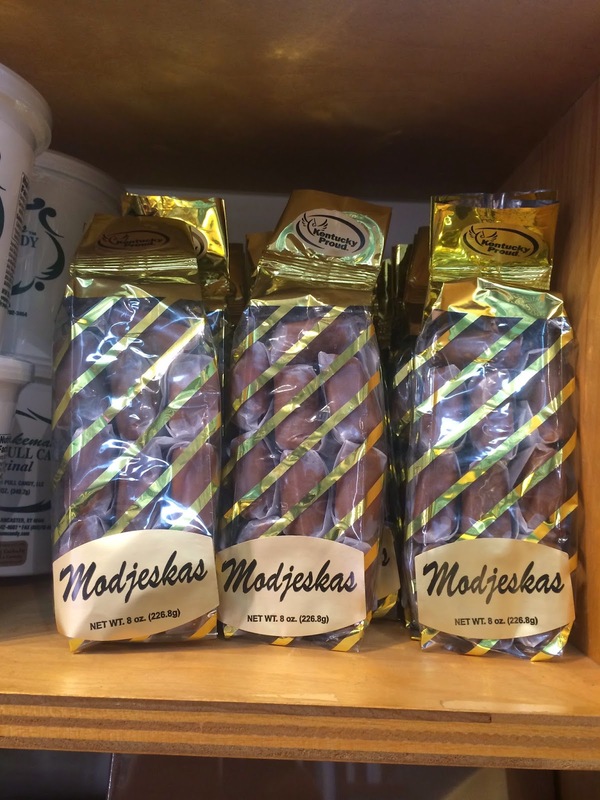 Burbon balls are a no-brainer, but don’t leave without buying a box of Modjeska’s candies by Bauer—there’s nothing else that compares with these sticky, gooey, caramel wonders! If you can’t decide on one thing, they offer fabulous gift baskets as well. 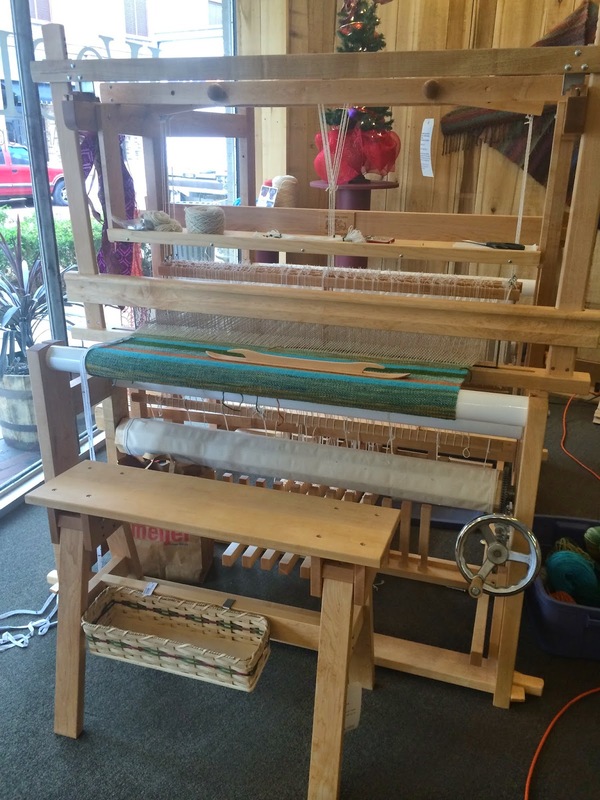 Owner Chris Miller and his wife run this marvelous spinning and weaving store that has embraced just enough knitting to keep everyone happy. While primarily an on-line business, the Woolery still boasts a satisfying retail experience thanks to a depth of stock and a staff that truly “knows their stuff.” “We really care,” says Miller, “You can’t hire that or buy that.” Indeed! As for the spinning, you'll find everything from artfully made drop spindles (collector’s items in themselves!) to starter Cricket looms to elaborate full size floor looms. Walk in here, and chances are highly likely you’ll come out with a new hobby—or just a new way to do your present hobby. “We’re not contagious, but we are addictive,” Miller jokes, but it’s true. 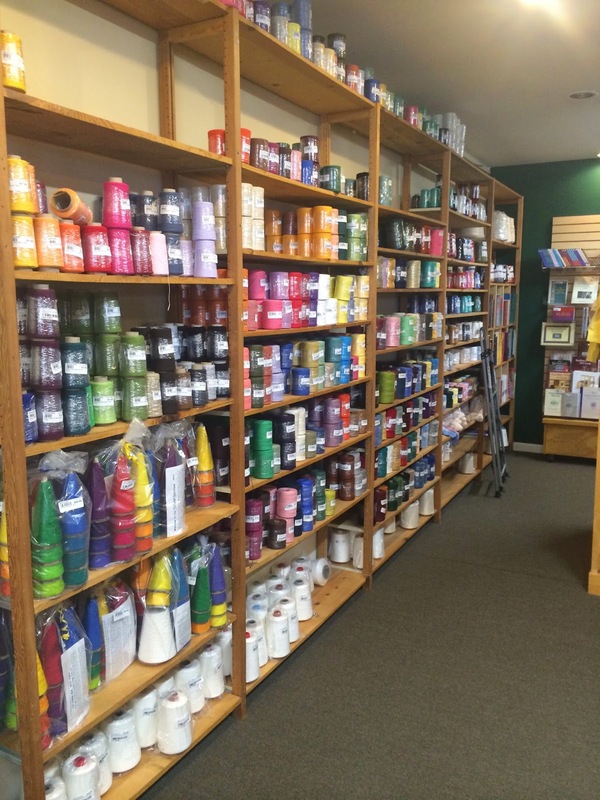 On one shelf you’ll find one-of-a-kind art yarns. On another you’ll find roving in a gazillion colors for felting, spinning, or ornamentation to make your garment unique. Tools, gadgets, fibers—the diversity expands your world as you realize all the different things we can do with fiber. Want to dip your toes into spinning? Start on a small scale with one of The Woolery’s extensive selection of handcrafted drop spindles. They are as much art as tool, and very simple to learn. But beware—we all know drop spindles are the “gateway drug” to a much larger spinning addiction! Should you need them (and you know you will), the Woolery offers a full selection of classes in a variety of fiber arts. Does weaving catch your eye? 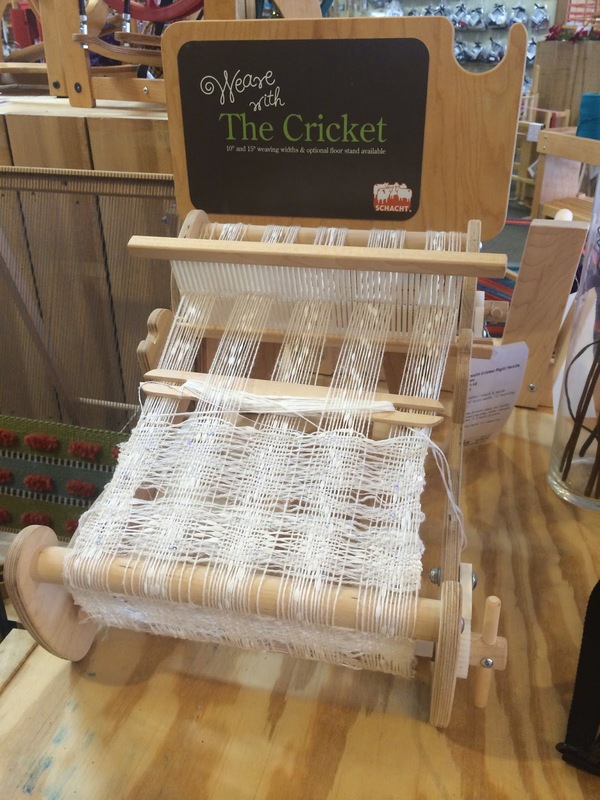 Start small with The Cricket Rigid Heddle Kit. Compact enough to fit on a table top but large enough to tackle a substantial project, this mini machine can introduce you to the craft without a huge investment. How about a new spin on your knitting? I was fascinated by the Addi Express King Size knitting machine. 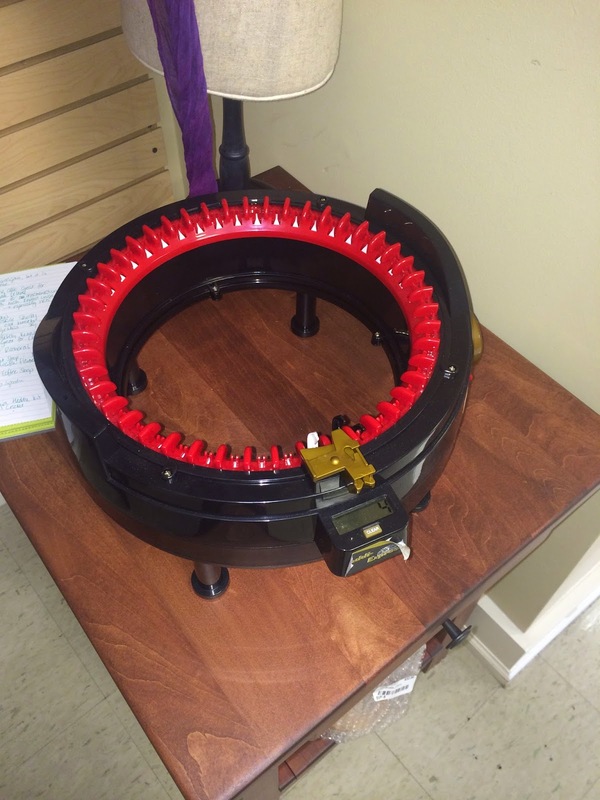 It’s a spool knitter on steroids! This behemoth can tackle large flat or tubular projects at lightening speed. If you were ever daunted by too many rows of garter or stockinette, this would whiz you through a large garment in no time. Personally, I think the thing’s large enough to double as an end table—what a conversation piece! Our “Knit Along” from here isn’t knitting, but my first introduction to the weaving craft. No, this isn’t that jersey-loop loom you played with as a kid. Schacht’s Zoom Loom brings an adult vibe to modular weaving. But that doesn’t mean you have to get all serious. 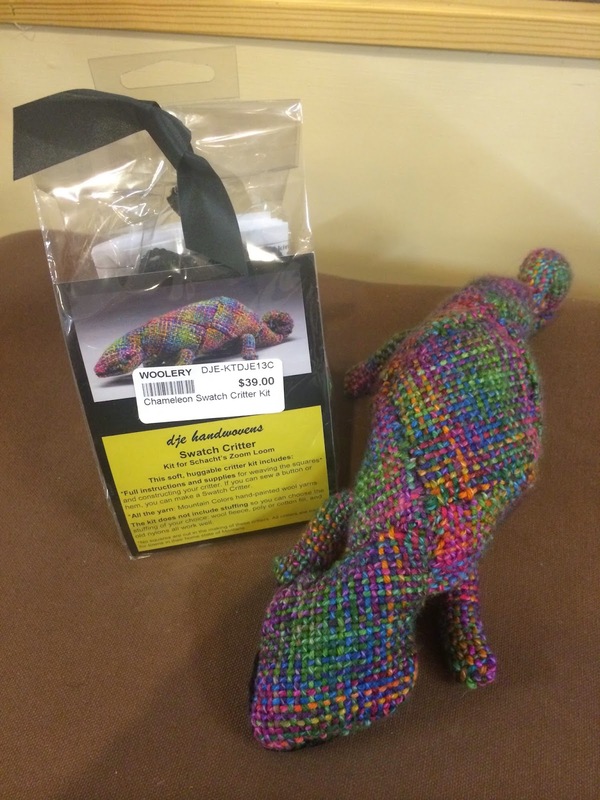 I’ll be making the adorable “Shelby the Sheep” from JDE handwoven’s Swatch Critter Kit especially created for the Zoom Loom. When you shop here or at the sister store in LaGrange IL by where I live, you support Angels Outreach and the Lake Eyasi Girls Vocational School in Tanzania, Africa. Buy stuff and feel good—a perfect match! I liked the colorful, textured bags and the handcrafted earrings. Yes, as the name implies, they do great Italian, Yes, they have the quality bourbon selection you’d expect at a Kentucky establishment. 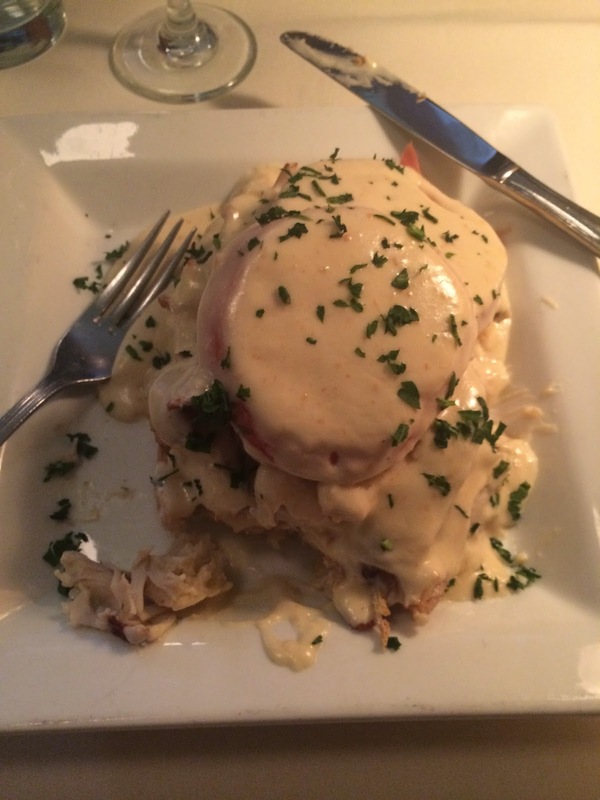 But for me, Sarafini’s is all about the Hot Brown. Exquisite. I’m sure my cardiologist dies a little bit every time I eat one, but since I only get there once year, I figure it’s a fair trade for one night of gastronomic bliss. If you are in to horses bourbon, or both, there are loads of other great things to do in the area that you can check out here. Enjoy!